With Geoffrey Notkin just after his new show Meteorite Men premiered on the Discovery Science Channel. 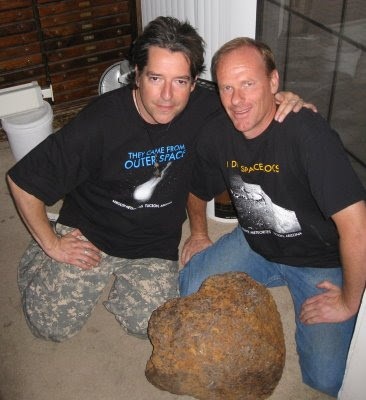 This is one of the two Brenham meteorites they found while filming in Kansas. This meteorite has olivine (peridot) gems in it. Photographed in Tucson, Arizona on May 10, 2009.